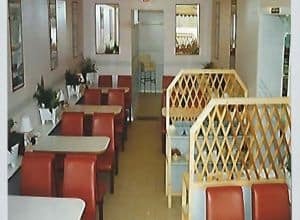 From a small take away in 1980, to Kent’s favourite fish and chip shop today. This is our story. It all started 37 years ago, when Ken & Nigel Derrett were both working in separate busy restaurants. Both had young families at the time, and were inspired to create a business out of their skills. They had a brilliant idea to start a premium fish and chips takeaway in their hometown of Ramsgate, in Kent. Newington Fish Bar was born. In 2005, The Independant newspaper places us at #1 in their survey for the Top 50 UK Fish Shops. Helping charities is an important way of giving something back to the community that supports us. Find out more about our charitable work here. In 2002, we featured in the Top 100 Fish & Chip Shops in the UK by Tony Mudd, and have continued to receive recognition. We were presented with the top food hygiene award in 1992 by Thanet District Council, and have received a gold standard ever since. In 2009, we were the first shop in Kent to receive the prestigious Five Star Fish Fryers Quality Award, by Seafish, Now run by the National Federation of Fish Fryers. See more about it here. Ken is a qualified chef, and spent the early part of his career working in exclusive restaurants in Mayfair, London. Since 1980, he has jointly run the Newington Fish Bar with his brother Nigel. Nowadays, Ken can be found out the back cutting fresh fish for the day’s customers. Nigel is a qualified chef, and learnt his trade at Marchesi, a famous restaurant in Broadstairs. He then embarked on a 37 year adventure with his brother Ken, and opened the Newington Fish Bar. He can usually be found chatting with customers in the restaurant. Claire has shown great potential and has grown into her new role of fish fryer. She’ll be cooking your cod! Sarah has been working at the shop for a long time and is one of our vital senior staff. Paula often gets compliments from customers for her friendly customer service and smile. Lisa has has been with us for a long time and is loved by her colleagues and regular customers. Lisa the second joined us earlier in 2018. She has been a hit with our loyal customers. Since joining us in the summer of 2018, she has become a vital part of our success. Paul has been making the chips and for over 30 years. Thanks for the tasty chips! Emily helps a lot around the shop. We wouldn’t be nearly as effective without her. Fish Fryer Claire’s shown great potential and has grown into her new role of fish fryer. She’ll be cooking your cod! Senior Counter Assistant Sarah has been working at the shop for a long time and is one of our vital senior staff. Counter Assistant Paula often gets compliments from customers for her friendly customer service and smile. Senior Counter Assistant Lisa has has been with us for a long time and is loved by her colleagues and regular customers. Counter Assistant Since joining us in the summer of 2018, she has become a vital part of our success. Assistant & Cleaner Emily helps a lot around the shop. We wouldn’t be nearly as effective without her.